Even the birds know that winter in NYC is finally over and are joining the Spring fling that’s in full swing. 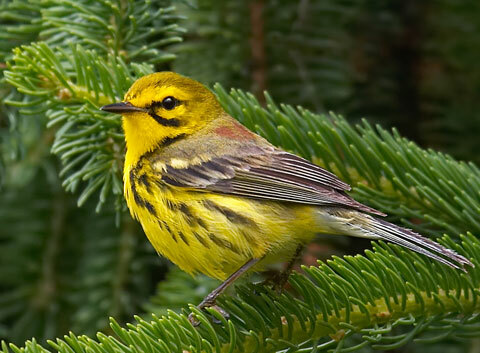 Bird migration season is here and Central Park is teeming with these incredible little animals! 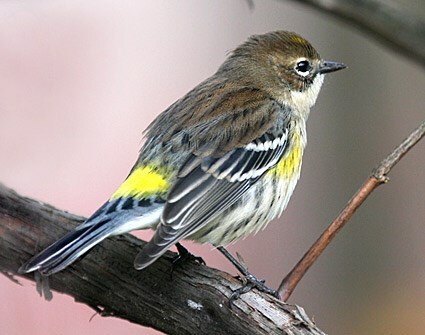 This past Sunday alone (5/3) we saw 4 new birds we’ve never seen before just with a few hours of “casual” birding: Yellow Rumped Warbler, Blue Headed Vireo, Nashville Warbler, and the Prairie Warbler. 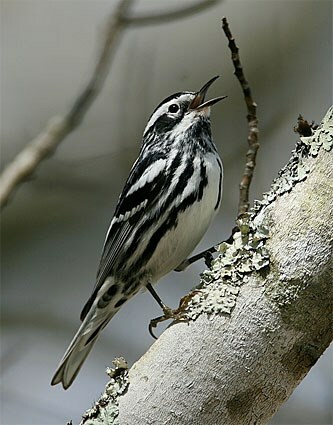 Not to mention other visitors & favorite regulars: Black and White Warbler, American Goldfinch, Downy Woodpecker, House Finch, White-Throated Sparrow, Black-capped Chickadee, Titmouse, Brown Creeper, Pine Warbler, Red Winged Blackbird, Cowbird etc. etc etc. I never used to care about birds, a sparrow’s a sparrow and a pigeon’s just a flying rat, right? Well partially right, pigeons ARE indeed flying rats but a sparrow is definitely not just a sparrow. In North America alone, there are at least 35 species of sparrows and now that I’ve been birding for a few years, being able to identify different kinds of sparrows have become somewhat of a holy grail. 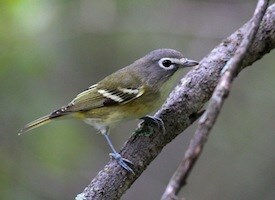 Nerdy, I know, but bird watching truly brought about a whole new perspective on life for me. It’s a great activity that will bring you outdoors, make you look up, and realize that NYC is not just about people and the latest restaurants. It allows for the appreciation of the details in life that distinguish the “little dots” in the sky with incredible beauty. 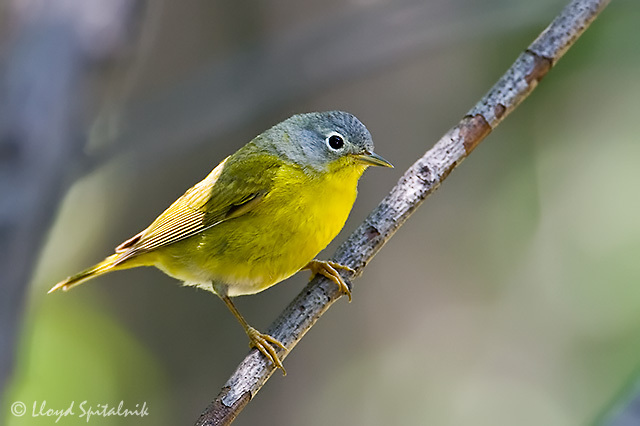 Once you get the hang of identifying the more abundant birds and get familiar with their favorite hangouts, start listening to their songs! Download the free Merlin Bird ID app to help identify birds and ask what birds birders around you are seeing. We’re nice peeps! Happy holidays everyone!!! I can’t believe the end of 2014 is nigh. This has been a seminal year for me and the husband as it signifies our first marital Christmahanakwanzika together! In lieu of buying material things for the holidays (and in general), we have made the conscious decision to shed the clutter in our lives and minds. But… gifting can be fun. Which brings me to my perfect procrastinator, yet super practical, 5 minute (no joke) gift idea – a gift of great hair. Who would say no to that? 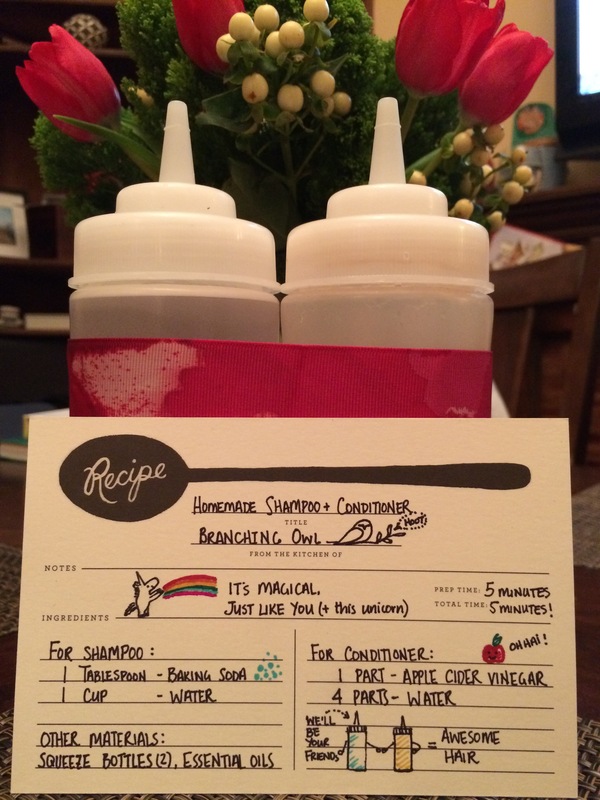 I came across this homemade solution a few months ago when I was desperate for hair products that are organic yet effective. Since I had all the ingredients readily available, I figure, why not? Mix No-poo / Conditioner ingredients in their respective bottles. Shake well. 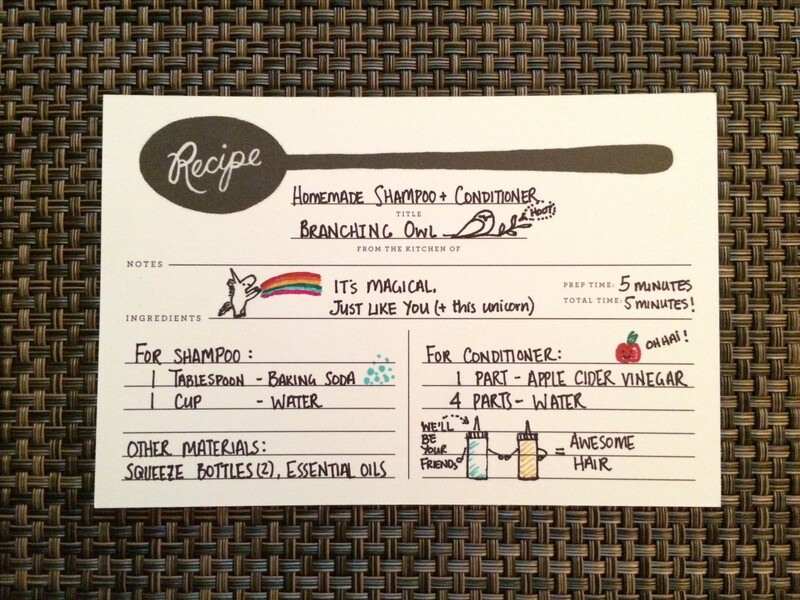 To use No-poo: Wet hair and scalp thoroughly. Squeeze enough baking soda solution on scalp till you feel scalp is well drenched, massage and let sit for a few minutes. Rinse. Your hair should feel squeaky. 1. Baking soda is a known cleaning agent. It’s a mild abrasive and attractant (picks up dirt), and it is also alkali, which deodorizes. No brainer! In fact, after you apply the baking soda “shampoo”, you’ll notice that your hair is SQUEAKY CLEAN. 2. Apple cider vinegar has the same acidity as your hair, thereby restoring the alkali environment that the baking soda shampoo created. It also works to naturally de-tangle your hair and binds closely to your hair cuticle. Ooooo, silky AND shiiny hair. 3. It’s works! It’s natural! It’s magic! I have been using this solution for a few months now and have experimented on my husband (lol), we have both noticed a big difference in the health of our hair. I have received more compliments on how bouncy, voluminous, and shiny my hair is over the past few months than I have in past years (even my hair stylist said so, therefore it must be true)! This has since been recommended and passed onto many friends and family of ours and we’ve heard some pretty great feedback. Now, this solution shouldn’t be used every day as it is pretty potent, so definitely listen to your scalp and adjust as needed. And try not to get the vinegar in your eyes, it WILL burn. 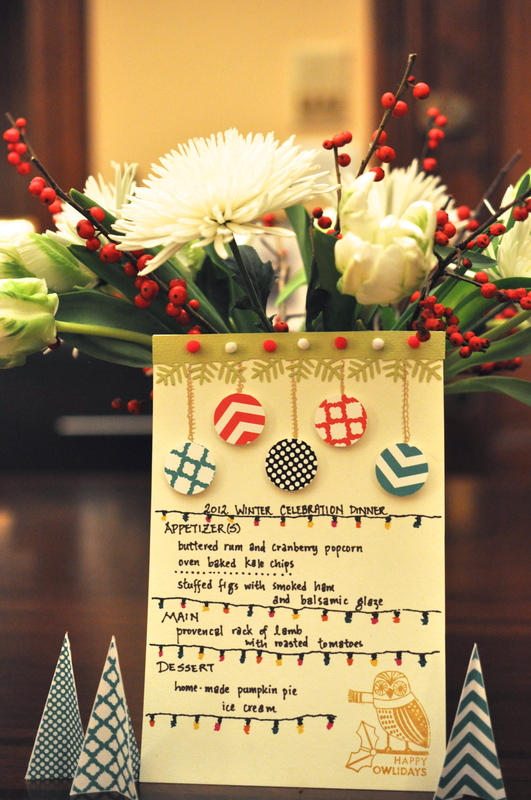 On that note, HAPPY OWLIDAYS and see you all in 2015! Be Cool. Freeze your Trash! Ok, by trash, I really mean all the food scraps from cooking! A few years ago, after watching “Dirt! The Movie“, I was inspired to start composting. In a space-challenged city apartment, having a worm bin is out of the question, but that didn’t stop me. I went on to discover the awesome GrowNYC community compost program and never turned back. I can’t say that I was there for the beginnings of the program, but “back in the day” (lol), this program was only available in the Union Square Green Market. Every 2 weekends, I would lug pounds of compost for the 45 minute journey downtown. It sucked, but I did it. 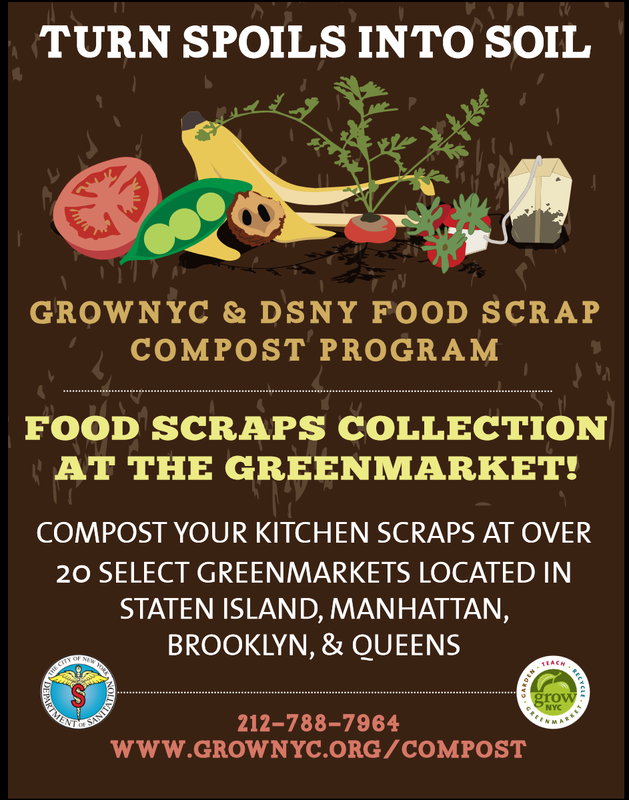 The program has since expanded and I was so thrilled when community compost arrived right outside our doorstep on the Upper West Side 2 years ago! Less stinky trash = you don’t have to take your trash out as often. WOOT! Say goodbye to the Mickeys in your neighborhood by taking their food source away. YAAAS! Community compost makes it SO EASY (& all the cool kids do it)! Instructions below. It reduces our waste stream, provides great nutrition to the Earth, AND can be used to produce renewable energy. SAY WHAT?!?! Step 2: Decide on the container you want to use for composting! You can go for something fancy, OR we just use an air tight jar. Other ideas include, an old plastic bag, empty yogurt container etc. etc. Step 3: Collect your food scraps in the container. Freeze it when the container’s full! Rinse and repeat. You’re now an URBAN COMPOSTER. BOOM!